Hi all. Okay. I know I'm going to regret this but I can't find the old thread about the ultimate version of DYRL. I'm curious how I can obtain the best version of the movie with the best subs. Please go easy on me. I'm old. I KNEW I'D REGRET MAKING THIS THREAD!!! Go with the Blu-ray if you want the Remastered Edition in real HD quality (which looks fantastic) and don't mind the censorship. 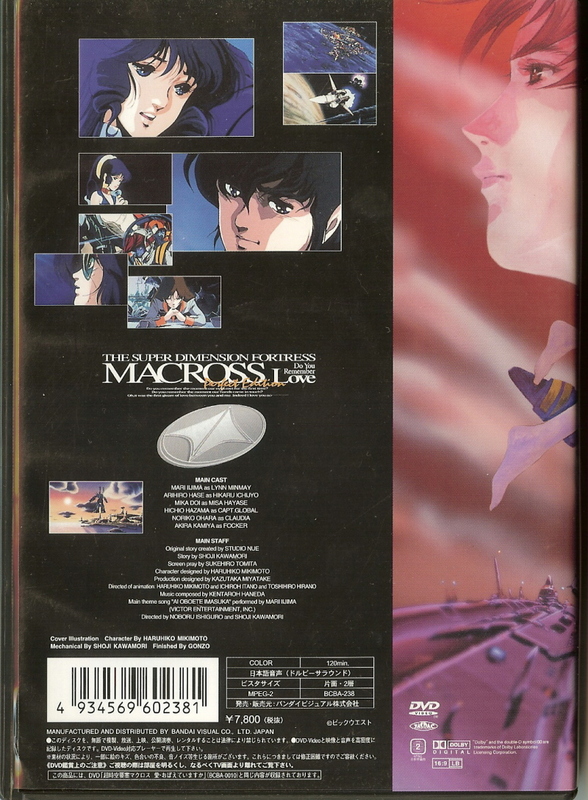 Search for the Macross DYRL Perfect Edition DVD if you can't stand censorship. Or get all three, if you are able and so inclined. Also, late last year there was word of a fan edit to restore the cut violent scenes to the BR version but I'm not sure what became of it. Edit: Added the Remastered DVD to to the list, which I forgot earlier. Thanks technoblue. Glad to know someone had a few moments to respond! I'll check them out. Go with the Blu-ray if you want the remastered HD version (which looks fantastic) and don't mind the censorship. Or get both, if you are able and so inclined. Follow-up question. Does the Hybrid Blu-ray release have English sub? And is the Perfect Edition is only available in DVD format and has English subs? So, which is the best DYRL release that has good english sub which doesn't have the censorship? Sorry if this is asked before. But the only copy I have is a direct laser disc betamax copy way back in the 80's. Sadly, no. None of the releases listed comes packaged with English subs. The subtitle links in those threads should still work. If you have problems downloading them, let me know as I should still have local copies backed up here at home. I was able to follow these instructions a while ago to add subs to my DYRL Perfect Edition DVD. IMO, this is probably the best version of what was before the changes that were made to the Remastered HD version. Being able to add subtitles is a nice bonus. That said, I also love Macross in HD. And I do have a copy of DYRL Remastered on Blu-ray (I skipped the DVD Remastered HD release). These subtitles are not timed correctly for the HD Remaster, and they are not scaled properly to the Blu-ray version. Making them compatible will take a little more work. I don't know if anyone has tackled it yet. I'm still watching for that on another forum. We'll see how it turns out. Hmm, the version I have, which I believe is the perfect version DVD, does have English subtitles. Hmm, very interesting. I just checked my DVD cover and it's not exactly the same as either of those images. Either way, I'm happy with it, DVD quality, English subs, that's about all I ask for. I think it's going to come out this year. Right. If it works and you are happy, then that's good. The official DVDs are long out of print, so I'm not sure how easy they are to find on a site like Amazon or Ebay today. It may be better to look on Japanese sites and auction venues if getting those DVDs is important, and then there is the business of adding subtitles which I already noted. 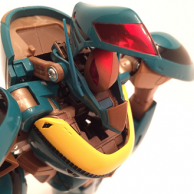 The official Blu-ray may be easier to find, but it has its own issues. I saw the saw 2007 DVD plenty in Tokyo, even last year. I wish I knew how to add soft subtitles to my Hybrid DYRL BD set. Create an .mkv file with a tool like Handbrake. Add subs to the .mkv if you want or, if your Blu-ray player supports it, you can keep the subtitle file separate. You can rip the Blu-ray disc and generate an ISO image. With this image, you can load external softsubs using media players like MPC-HC or VLC. It shouldn't matter what format the subs are in, or whether or not they are softsubs. Both of these methods will allow you to get external subtitles working, and you can store the shiny disc in a safe place when you are done building your file. The "Uncensored" BD version floors the "unofficial" HK DYRL sub DVD by Animeking. The scratchy fine art of 1984 Haruhiko Mikimoto has a certain beauty that CGI art of the BD Macross pachinko music videos can NEVER match. The DVD, even with upscaling player features still looks smudgy. The BD images looks exactly like the images on the BD case, heck, much much clearer than the pictures on the case. It really holds out on its own comparing the quality visuals of these era's sterile CGI graphics.